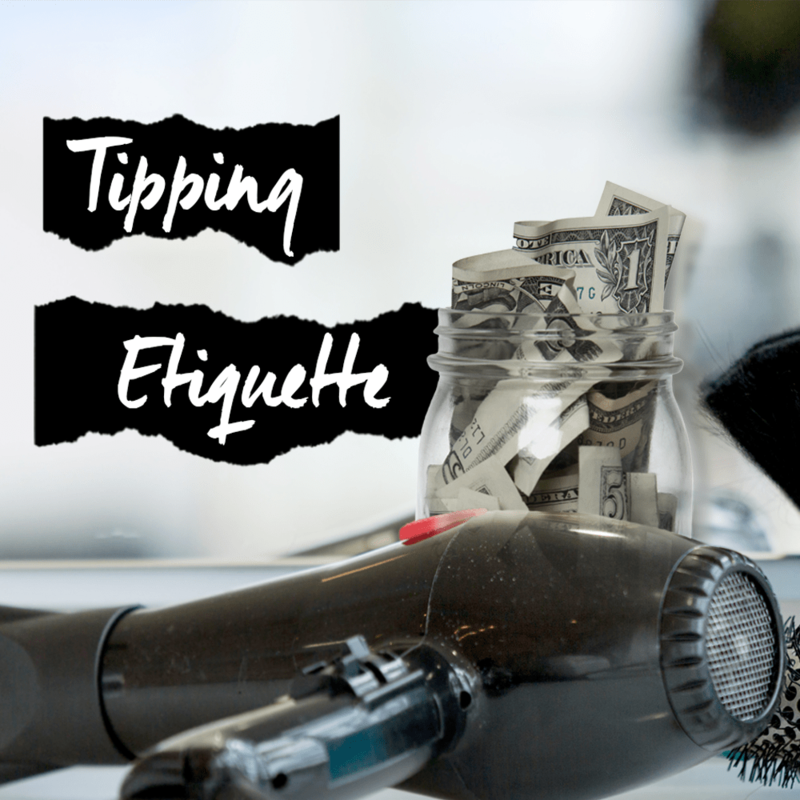 Are you unsure about how much to tip when it comes to tipping your hairstylists? We have it broken down and have you covered! Tipping is always a difficult thing to decide. Ultimately, it depends on how much you paid, but of course there are other factors that play into it, as well. These factors include whether you’re pleased with the service, the stylist made you feel at home, if you two made a connection, amongst several other factors! The average tip should be anywhere from 15% – 20% of your final total bill. For each person and service the tipping etiquette is different. When tipping the shampoo girl, you should tip anywhere from $2 – $5. If you are getting more complicated services done, you should always tip the full 20%! An example of a complicated service would be color correction. Now a big question that hopefully you don’t have to ever wonder: what happens if you don’t like the cut or color they did on your hair and you have to go back in to re-do it? Answer is: stylists usually do it for free, so the appropriate tip would be about 10% of what the service would have cost you. And very important note: the old rule that you don’t tip the owner of the salon should not be followed! Always tip for all services! When tipping the owner it should be anywhere between the 15% – 20% average. Put yourself in their shoes… if you just spent 5 hours on your feet and coloring someone’s hair, you’d want to feel a little extra appreciation. As for holidays and special occasions, you shouldn’t feel obligated to give them anything special, but it is very much appreciated to bring in a card, food, gift, or (if you don’t have time to pick any of these up) a normal tip is perfectly acceptable! Remember! They are taking time and spending it on you so you should take the time and spend a little bit extra on them and leave a tip! When all is said and done, it is up to you to leave the tip that feels right to you and the situation!